Internet service providers (ISPs) will start to intentionally slow down the internet connection of individuals or groups who have been involved in illegal copying of copyright documents or files or have been involved in piracy of legal documents. Worse than that, is that these Internet Service Providers will restrict internet altogether for all the people or users who have been involved in this crime of piracy for repeated number of time. This can really help the entertainment industry as to a large extent piracy occurs in the form of illegally downloading movies as well as music albums which might result in loss of sales to the company. However, many people are against this measure by ISPs and spy organizations in particular. In addition, there has been a ruling stating that Internet Service Providers do not have to spy on file sharers. This ruling came about in German court saying that ISPs cannot be forced to retain data and as such cannot spy on the file sharers. While Germany over here is not acting much greedy, United States and many copyrights on the other hand have trolled many users, troubling them a lot. For common people, who are not involved in any illegal downloading business of some sort, from an ethical point of view copyright companies should be protected and they should be granted with some rights but on the other hand, individuals who are not involved in any sort of violations, their privacy is at stake. Often Internet Service Providers claim that they are the one who protect people from spying eyes and not at the same time they are the ones who will be involved in spying. How can they be trusted much? The question also arises as to whether this will be easy for the ISPs or not? To make it more workable what they have done is that, firstly, if they find any users doing illegal practices, they will send them warnings. After multiple warnings, they will be put on restriction. Thirdly, despite restriction if they continue to carry out their practices they will be cut down from the services altogether. 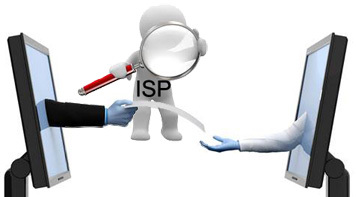 Also some people are of the view that it might become difficult for the service providers to reach to each and every internet provider for the implementation of rules and to keep a track on these file sharers, so what the ISPs might do is to operate and track themselves rather than approaching individually, which might become time consuming and costly. Some people are of the view that rather than granting such harsh punishments and ignoring the fact that some people might become victims despite being innocent, will not do justice to everyone. Surely, there should be some sort of social contract or ethical code of conduct when operating on the internet, customers should be first made aware of the rules and regulation before imposing warnings and restrictions. Obviously, one of the safest ways for the user is to use proper tools and also not to get into trouble with the copyright laws by not breaking them.